If you are aged ten to twenty-five, have a learning disability and are talented then we want to hear from you! Heart n Soul is an award-winning creative arts company. We believe in the talents and power of people with learning disabilities. We provide creative spaces for disabled and non-disabled artists and participants to come together and develop and share their ideas. Our work is about art, training, taking part and sharing. Our vision is of people with a learning disability living full and equal lives with independence, freedom and pride. We offer a range of opportunities for people to take part, train in a new skill, or develop their artistic talents. Artists and participants share their work live, recorded or online for as many different people to enjoy as possible. We make inclusive creative spaces where people are free to express themselves and learn. We encourage experimentation in all things. Our way of working has grown over twenty-five years of working with people with learning disabilities to make outstanding art and change happen. People with a learning disability are involved in real roles in every part of Heart n Soul. We believe that people are capable of more, and use this as the starting point for all engagement. Heart n Soul is a company limited by guarantee and a registered charity. We receive about a third of our income from Arts Council England. We raise the remainder from ticket sales and other earned income, donations from individuals and grants from charitable trusts and foundations. These are creative sessions which happen once per month on Saturday afternoons. They offer young people (aged 10-25 years) new to the arts training in music, dance, drama, DJing and digital arts. Young people get the chance to work on exciting projects with a range of professional tutors. They decide what they want to do and work with their tutors to make it happen. 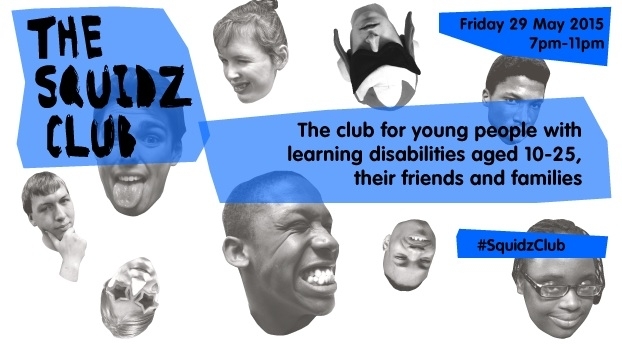 The Squidz Club is for young people with learning disabilities (aged 10-25 years), their families and friends. It features young DJs, VJs and artists in a fun and friendly atmosphere.